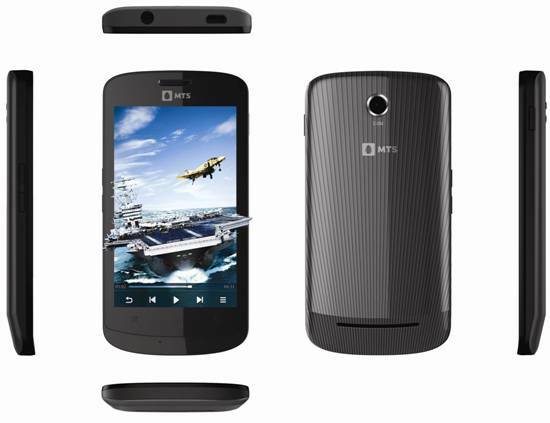 MTS India has today announced the launch of MTS MTAG 401 smartphone. The smartphone runs on Android 2.3 Gingerbread and comes bundled with the disruptive ‘On mobile’ unlimited data plans. The MTS MTag 401 has a 4 inch display with an 800X480 (WVGA) pixel resolution, an 800 Mhz Qualcomm Snapdragon S1 Processor and comes with a large 1700 mAh battery. Other features include a 3 megapixel camera at the back, expandable memory slot up to 32 GB and comes with a 2 GB card. The smartphone will also come with the MTS TV application allowing its users on the move access to Live TV with more than 100 channels. The handset is priced at Rs. 8,999 and will be coming with a special offer that provides unlimited data usage for 3 months. With this the company is also planning on 7 inch Tablet running on Android 2.2 Froyo, which will be launched soon.